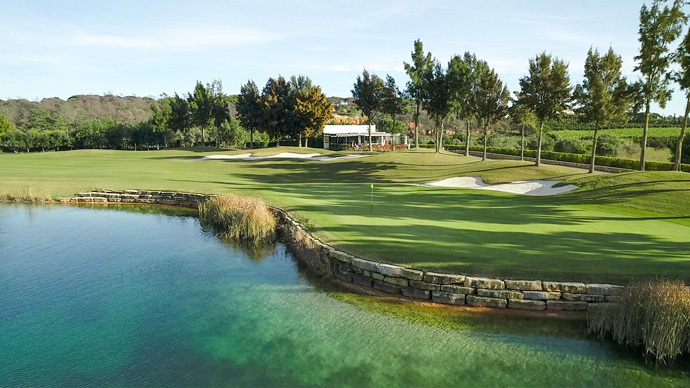 Laranjal Golf Course - In keeping with its reputation for excellence, Quinta do Lago takes great pride in the opening of its new and third 18 hole championship golf course, Laranjal. 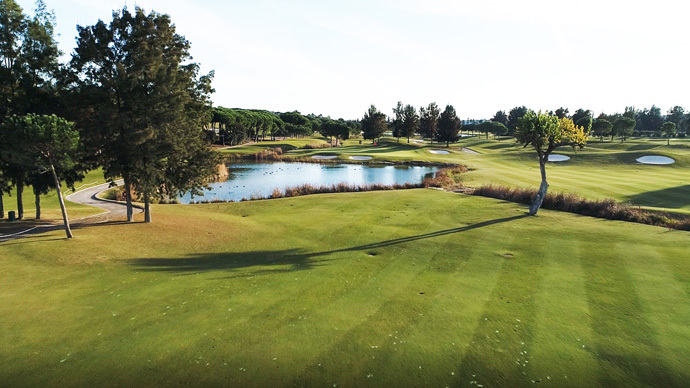 Laranjal, originally an orange grove, is today a beautiful and totally different golf experience. It is a sanctuary for those seeking the finest in golf and personalized service. 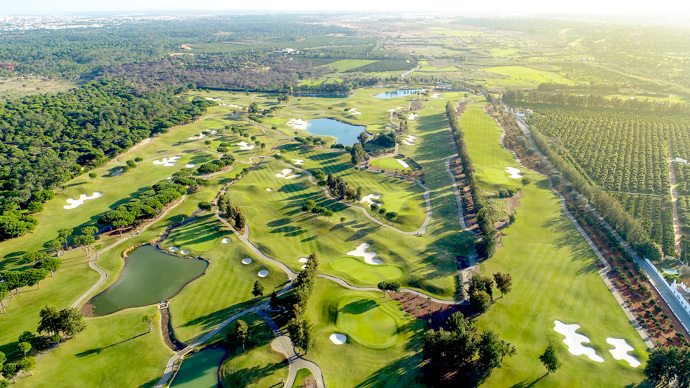 Its narrow fairways and well defined greens require concentration and accuracy to navigate this testing route laid out on a rolling and distinctive terrain. 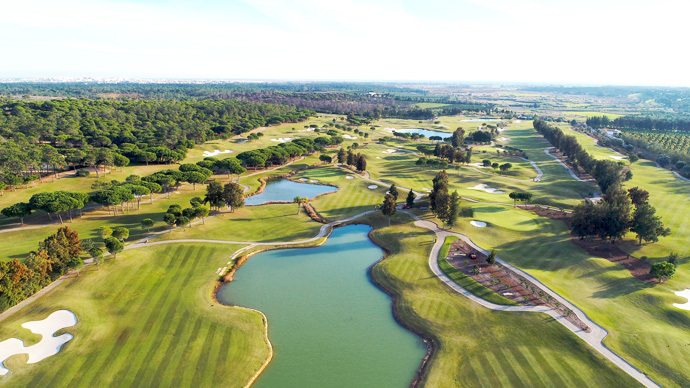 It is a par 72, 6,480 meters, with five par 5s, eight par 4s, five par 3s set amongst umbrella pines, cork-oaks and orange trees with a natural water course and 5 beautiful lakes. Penn A4 was selected for the greens to help guarantee good putting surfaces all year round and the Fairways are sown with Bermuda. On the EN 125, going from VILAMOURA towards the airport, 3 km approx after ALMANCIL, turn right at LUDO sign and follow the signs to the golf course.